Rytec Corporation is North America's leading manufacturer of high-performance doors for industrial, commercial and cold-storage environments. Unlike other companies in our industry, doors aren't a side line for Rytec. They're our only business, period. This focus is the reason there are 100,000 Rytec doors in operation today. Rytec corporate offices and manufacturing operations are headquartered in Jackson, Wisconsin. Customer support is provided through a network of local dealers and installers throughout North America. 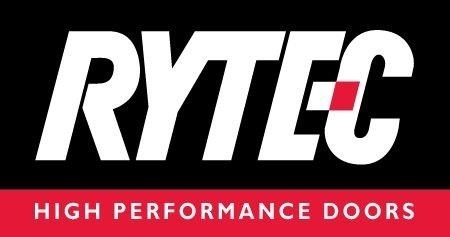 When you buy a door from Rytec, you not only get high speed and high performance, you get the backing of the undisputed leader in the industry. That means the assurance of working with a company known around the world for making doors that work - day in, day out, cycle after cycle. We invite you to become a part of the ever-growing list of satisfied Rytec customers. Residential buildings, office buildings, professional facilities—even entire cities—can’t function without efficient and secure parking. Maintaining traffic security, control and efficiency are critical aspects of a successful parking operation. From architectural design firms to multi-facility property management companies, Rytec provides high-performance doors for a wide array of parking operations.